In 2018, AMHSA members conducted a whopping 162 audits on 128 organizations. Thank you to all participants in the COR program – your commitment to implementing and maintaining effective health and safety management systems is worthy of applause! As of March 1, 2019, AMHSA’s Audit Analysts have reviewed and finalized 146 (90%) of the submitted audits. The remaining 2018 audits are in the revisions phase of the QA process. If you are unsure of the status of your audit, contact your assigned QA Analyst or contact us ( audits@amhsa.net). 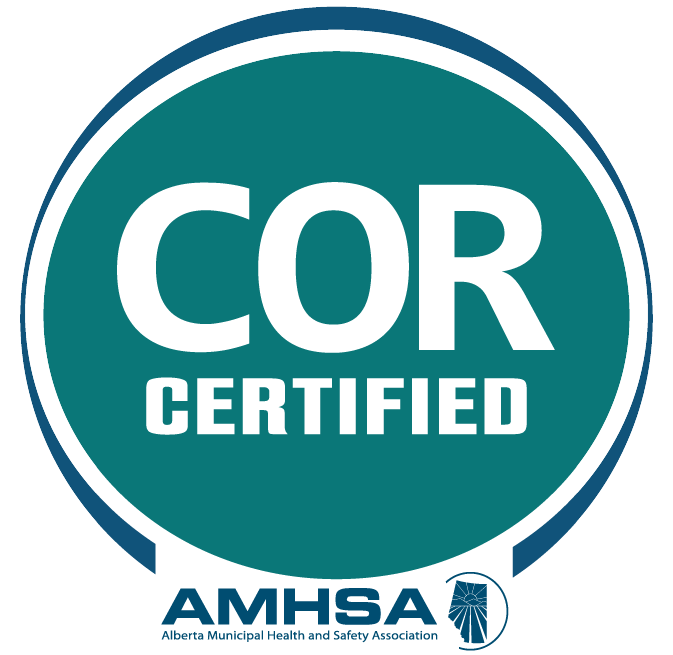 If your organization is enrolled in the PIR Program, look for a letter from AMHSA detailing your COR certification or Maintenance requirements for 2019. The audit standard has changed over the past few years, so we recommend reviewing both the tool and audit submission requirements to make sure you and your organization are ready for 2019. In 2018, employers could choose from multiple audit standards and tools. In 2019, all COR audits must be conducted using the 2018 Partnerships Audit Standard. This standard reviews 10 elements rather than 8 and includes additional content such as HS Committees/Representatives, workplace violence prevention, and harassment prevention. For a comparison of old vs. new content, see our July 2018 Auditor Update. Employers may opt to use either the AMHSA Excel Audit Workbook or the eCompliance Audit Tool (AMHSA Protocol). Both tools are based on the 2018 Standard and are approved by Partnerships. The workbook is designed for Windows based PCs using recent versions of Excel. Remember to download a new copy before each audit to ensure you have the most up to date version. When a worksheet is protected, Excel unfortunately prevents the use of spell check. As a workaround, we suggest copying your notes into Word and then pasting back into the workbook to check your text if you wish to do so (depending on your settings, you may need to double click the cell to place your cursor before pasting). The eCompliance audit tool is designed for Windows based PCs. The eCompliance Audit Tool can be purchased and downloaded directly from eCompliance for $175 + GST. Auditors can also purchase a user guide for an additional $40 + GST. Team auditors may purchase a single license key for group use. For questions or technical support, please contact eCompliance directly. eCompliance has made a trial version available for download. The trial version includes all of the features of the purchased copy with the exception of report generation. Remember that all COR Certification audits must be conducted by an AMHSA-certified auditor external to your organization. This may be a peer auditor from another municipality or a consultant. If your organization will be participating in the peer program this year, please email audits@amhsa.net by June 1, 2019 with your contact information, preferred timing, and an approximate number of employees and permanent work sites. If you will be hiring a consultant auditor, visit our website for a list of consultants who have met AMHSA’s requirements for certification. Please note that AMHSA does not endorse any particular consultant auditor. As of January 1, 2019, COR Maintenance audits must score a minimum of 60% overall. Unlike Certification audits, there is no option for a limited scope audit in the event of a low score. Employers who receive an overall score of less than 60% will be unable to maintain their COR. AMHSA’s Excel Audit Workbook uses the entered employee information to calculate minimum requirements for interviews. The workbook compares the total number of employees to Partnerships’ standards to determine a baseline minimum total and then spreads that across the entered sites and departments. This is why you may find that the sampling worksheet requires a higher number than the minimum calculation. If you would like to double check your sample before beginning, email a copy of your audit or the Int. Sampling worksheet to audits@amhsa.net for sampling pre-approval. Make sure you enter in all required information into the worksheet, including total employees, staff by level, planned interviews, and sample representation. For the purposes of a COR audit, the total number should include all employees active at the time of the audit that are covered by the employer’s WCB code. This would include all levels (senior managers to new workers), all employee types (permanent to temporary), and all shifts and experience levels. Volunteers and municipal councillors would also be included if they covered under the WCB code. This does not include the auditor(s), vacancies, or employees on leave. If your auditor number begins with “16” and/or you took your training before the implementation of the 2016 Standard, you may need to attend training before conducting audits this year. AMHSA will consider those who took training in the 2016 Standard to be qualified for the 2018 version, but we do recommend attending Refresher to become familiar with the additional elements. If you are unsure of your status, please contact us ( audits@amhsa.net). *NEW* AMHSA Sherwood Park has moved and we now have a training room on-site! Unless otherwise noted, all Sherwood Park sessions will be held at #176, 2755 Broadmoor Blvd, Sherwood Park . In each edition of the Auditor Update, we’ll select a question(s) from the tool and provide an explanation. We plan to compile these into an interpretation guide for our auditors. Is there a particular question or area you struggle with? Let us know at audits@amhsa.net. Question 10.07: Was a plan developed to address identified OHSMS deficiencies from the previous evaluation? Verified by review of documentation. To award points for this question, a plan must have been developed to address deficiencies identified in the past year. A plan format MAY include: measurable action items, completion dates, and individuals responsible for follow-up. One of the goals of the Partnerships program is continuous improvement – we don’t just look to meet the audit standard but to improve our system each year. Much of the value comes not just from the audit, but what is done with the information learned during the audit. Once an employer has received the finalized Audit Report and Executive Summary, they should use this information to create a follow-up plan (often referred to as a post-audit action plan) to address deficiencies. This is an internal plan that is not submitted to AMHSA or Partnerships. Don’t confuse post-audit action plans with an Action Plan conducted in lieu of a COR Maintenance audit. The former looks to correct issues found during an audit, the latter replaces an audit conducted during maintenance years. What is this question asking? If an employer had their occupational health and safety management system (OHSMS) evaluated against a recognized standard (such as Partnerships, CSA Z-1000-06, ILO-OSH 2001, etc.) and deficiencies were found, did they create some sort of plan to address those deficiencies and make improvements? Look for documentation that indicates the system was evaluated in the previous year (such as an Audit Report). Then look for documents that review any deficiencies and address them. Organizations may call this their post-audit action plan, follow-up plan, or they may not use a specific title. The plan doesn’t need to follow a specific format, but should include actions to address issues, not just a review. The town of Happy Valley had a COR Maintenance Audit conducted July 2018. A documented post-audit action plan (dated November 2018) was available and included a list of identified deficiencies and action items with assigned responsibilities and deadlines. For example, the previous audit identified that PPE was not being maintained and the action items included training in the use and maintenance of PPE and a review of PPE requirements with employees by February 2019. To learn more about AMHSA's auditing program, and how we can assist with the Certificate of Recognition process, visit our website, or call our office and speak to one of our team members. Please note, that while we do invite submissions, use of items sent are at the discretion of AMHSA. We are under no obligation to review, consider, publish, develop, provide compensation, or otherwise use the submission. You also agree that your submission in no way violates any copyright, trademark, or trade name; or the rights of any third party, including individuals, and is not otherwise unlawful.